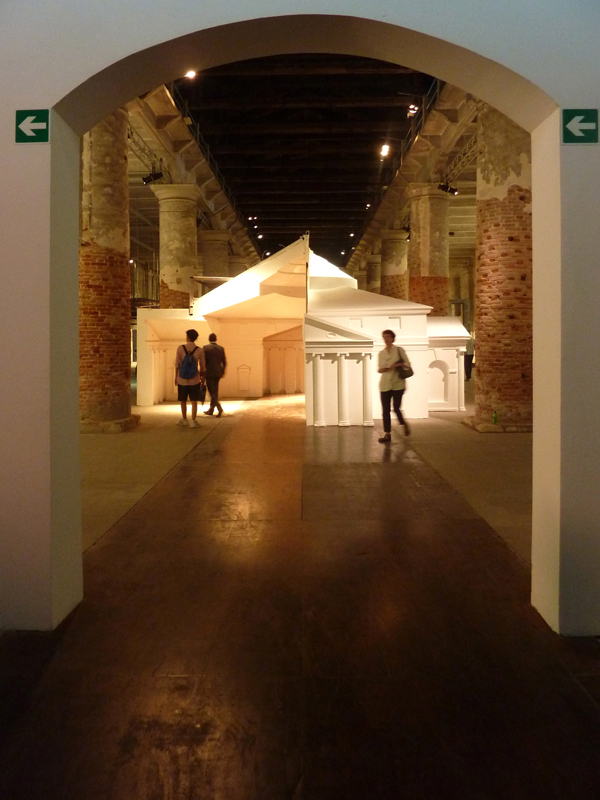 Invited by David Chipperfield, director of the 13th International Architecture Biennale, FAT has contributed an exhibition to the Arsenale titled The Museum of Copying. 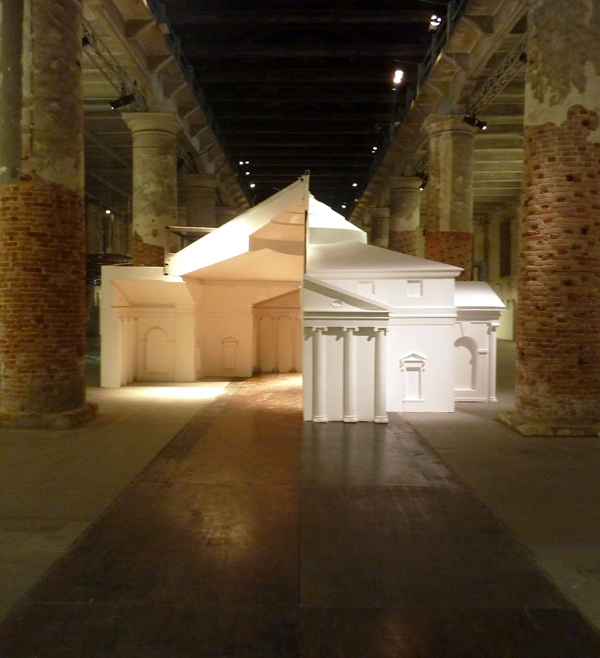 Responding to the curator's theme of Common Ground, the Museum of Copying explores the idea of the copy in architecture as an important, positive and often surreal phenomenon. 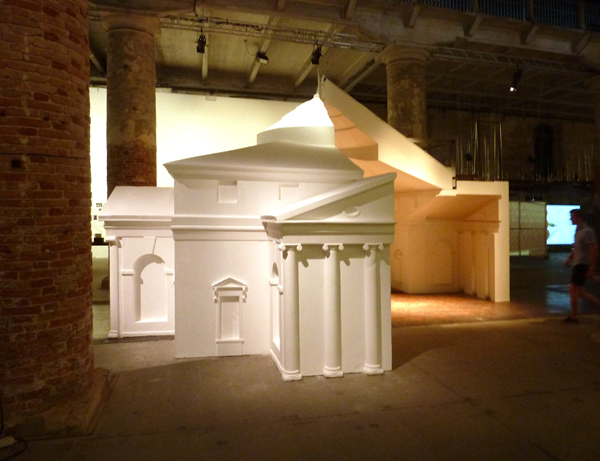 The museum centres around FAT's own installation, The Villa Rotunda Redux, a 5m high re-make of Palladio's Villa Rotunda that explores the Villa as both a subject and object of architectural copying. 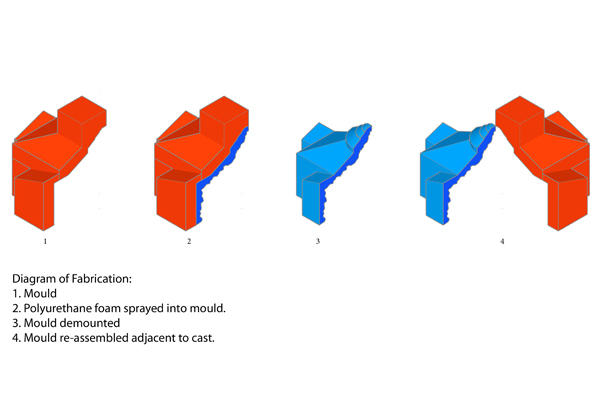 The facsimile is made using contemporary fabrication techniques, CNCing a giant mould from which a spray-foam cast is taken. 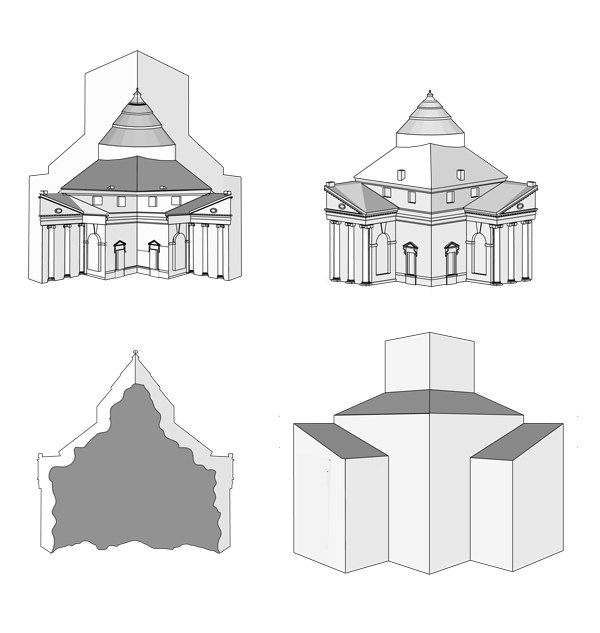 Cast and mould are arranged as two quarters of the Villa displaying the process of fabrication as well as opposing qualities of positive and negative, and interior and exterior. 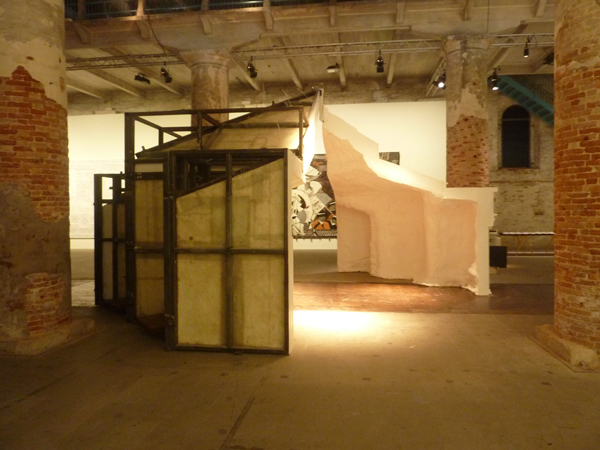 Sam Jacob, a director of FAT said "There is a history of copies of the Villa Rotunda that have been important staging posts for architectural culture. 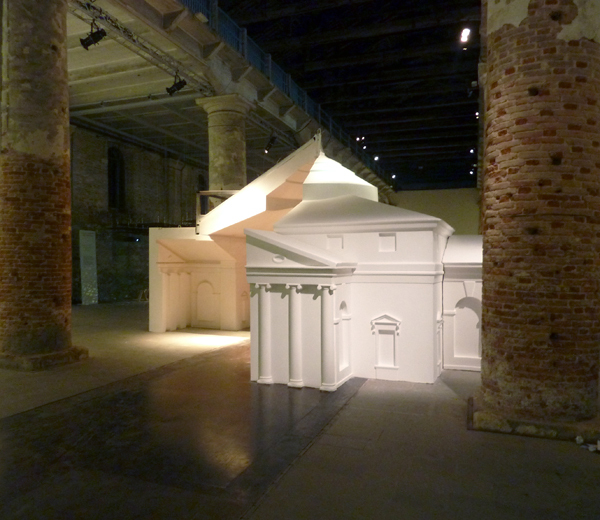 We hope to extend this history and explore how copying something is, strangely, a way of inventing new forms of architecture. It also seems sweet to return a bastardised form of the Villa to its original home in the Venito." 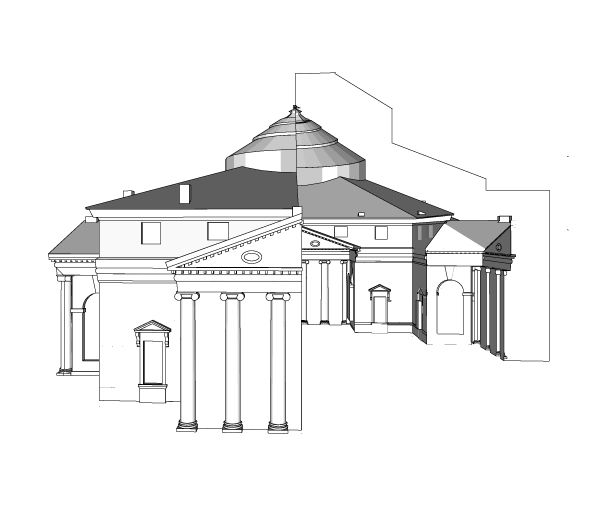 The Museum of Copying also includes a contribution by San Rocco titled The Book of Copies comprising a library of volumes prepared by invited architects each of whom have assembled photocopies relating to a thematic building typology. 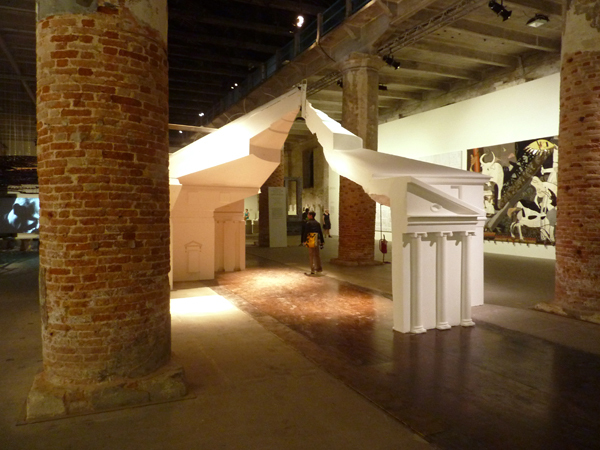 Visitors to the Biennale can assemble their own version of the Book of Copies by photocopying these photocopies into a unique Book of Copies. The 60 contributors include Andrea Branzi, Jan de Vylder, Ryue Nishizawa, Paul Robbrecht, Francois Roche, Denise Scot Brown and Jonathan Sergison. 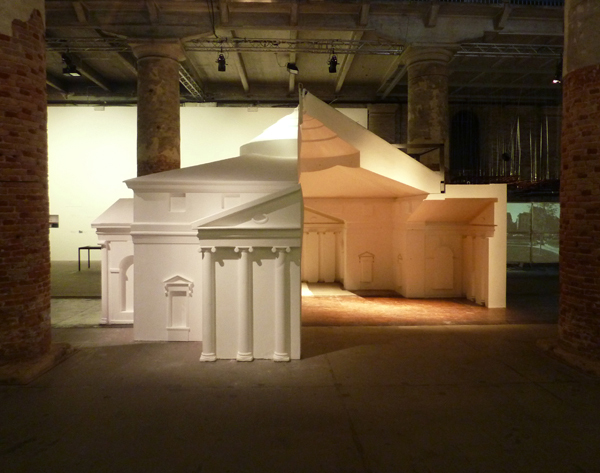 Architectural Doppelgängers, investigates examples of architectural copies, fakes and replicas. 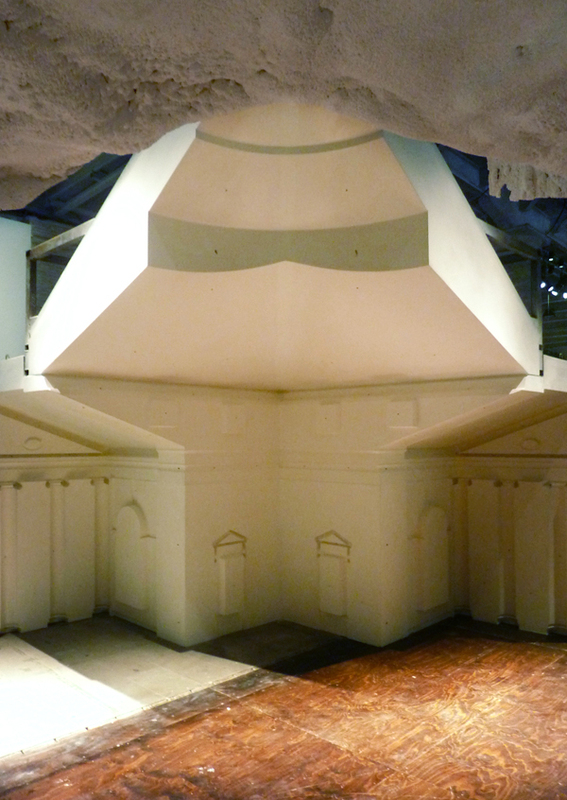 Strange stories that surround Architectural Doppelgängers are told through examples that include a facsimile of the Villa Rotunda in the Palestinian Territories and a fake Austrian village in China. Ines Weizman's "Repeat Yourself": Loos, Law and the Culture of the Copy researches the significance of copyright on architecture, using legal disputes around the ownership of Loos' archive and work as a test case.